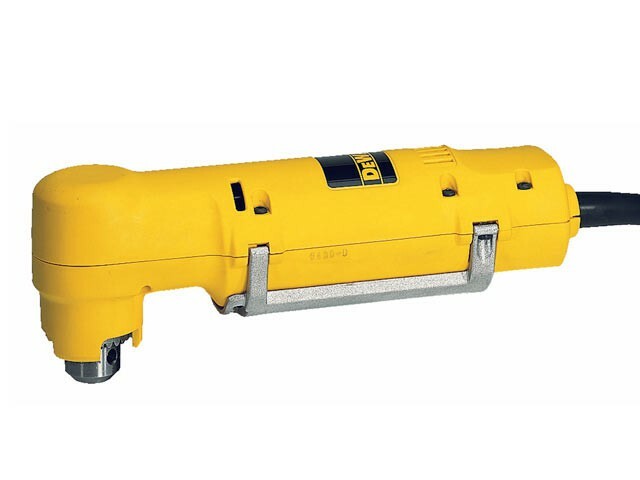 The DEWALT D21160 Right Angle Drill offers a high torque output, enabling large diameter hole drilling. It has a full body paddle switch that supports the natural shape of your hand, providing decreased fatigue even during prolonged use. Also fitted with a variable speed trigger that provides increased user control. Ideal for working in tight or narrow spaces, thanks to its compact, lightweight design making it easy to handle. Fitted with a high quality 10mm keyed chuck for accuracy and durability. Spindle Thread: 3/8in x 24UNF. Capacity: Steel: 10mm, Softwood: 20mm.